In Greek mythology, Medea is a relatively famous figure, and also an important one. The story of Medea is today, primarily one associated with that of the Greek hero Jason. Many people will probably only known of Medea as a character from the 1963 Colombia Pictures film, Jason and the Argonauts. In the film, Medea, played by the beautiful Nancy Kovack, supports Jason in the successful retrieval of the Golden Fleece. Jason and the Argonauts though, is a family friendly adaptation of a classic Greek mythological story, whilst the story of Medea dates back thousands of years. Most of the facts about the life story of Medea can be ascertained from two Ancient Greek sources, Argonautica by Apollonius Rhodius, written in the 3rd century BC, and Medea by Euripides from 431BC. Medea though, is referenced in other sources, and the stories are contradictory, and it is known that Euripides’ version differs greatly from the same period. 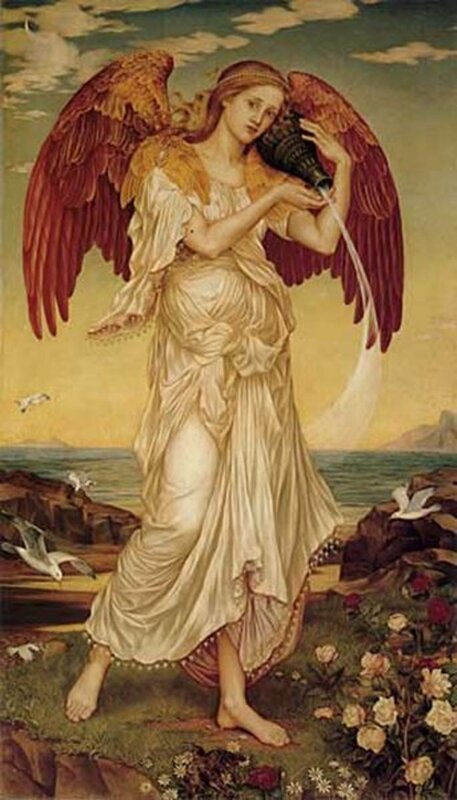 Medea was the daughter of the magician king Aeetes of Colchis, and the Oceanid Idyia. Through her father, Medea was granddaughter to the sun god Helios, and therefore niece to Perses, Pasiphae, and Circe. Medea was more than just a princess of Colchis though, and as a priestess of the goddess Hecate, Medea was known to be a powerful sorceress. To the Ancient Greeks, Colchis was at the far end of the known world, and its inhabitants were considered to be a barbarian race; this despite the fact that originally Aeetes was a prince of Corinth. The stories told of the court of Aeetes though, were barbaric, and any strangers found in his kingdom were normally put to death; Aeetes being fearful of the loss of the Golden Fleece and the loss thereafter of his kingdom. It was of course to Colchis that Jason was tasked to travel, and it was upon the arrival of the Argo in Colchis that Medea came to prominence. Jason was being aided in his quest by two Olympian goddesses, Hera and Athena, and these two conspired with Aphrodite. Aphrodite would use her powers to have Medea fall in love with Jason, so that the hero would have a sorceress on his side. Medea would therefore go against her father, and aide Jason in overcoming the fire breathing bulls, and the skeleton soldiers grown from dragon’s teeth. It was also Medea who used her powers to lull the Colchian Dragon to sleep, allowing the Golden Fleece to be removed from the sacred grove. For her assistance Jason would promise to love Medea for eternity and to marry her upon their return to Greece. The 1963 Colombia Pictures film leaves the viewer convinced that the story of Medea ends with the pair living happily ever after. The original Greek sources have a much darker tale to tell. 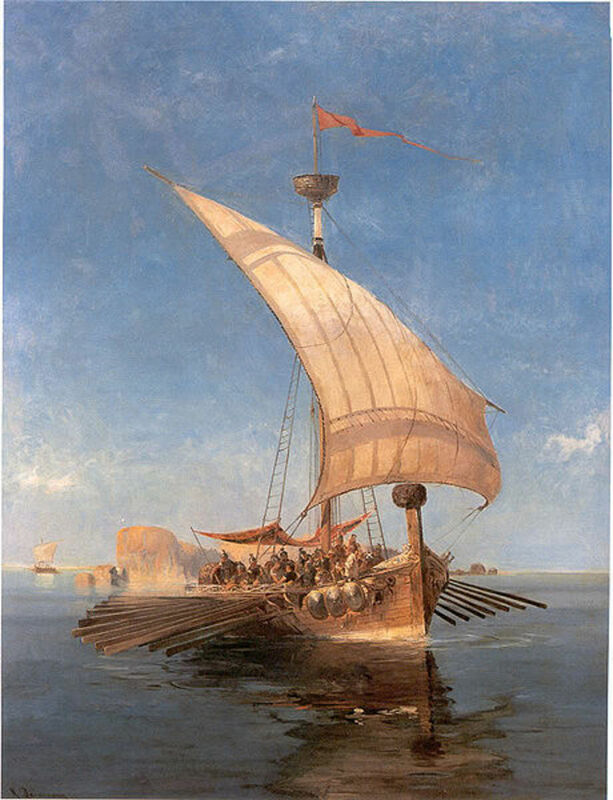 The theft of the Golden Fleece soon had the whole of the Colchian fleet setting sail after the Argo; and it was impossible for the boat of the Argonauts to out run the fleet. 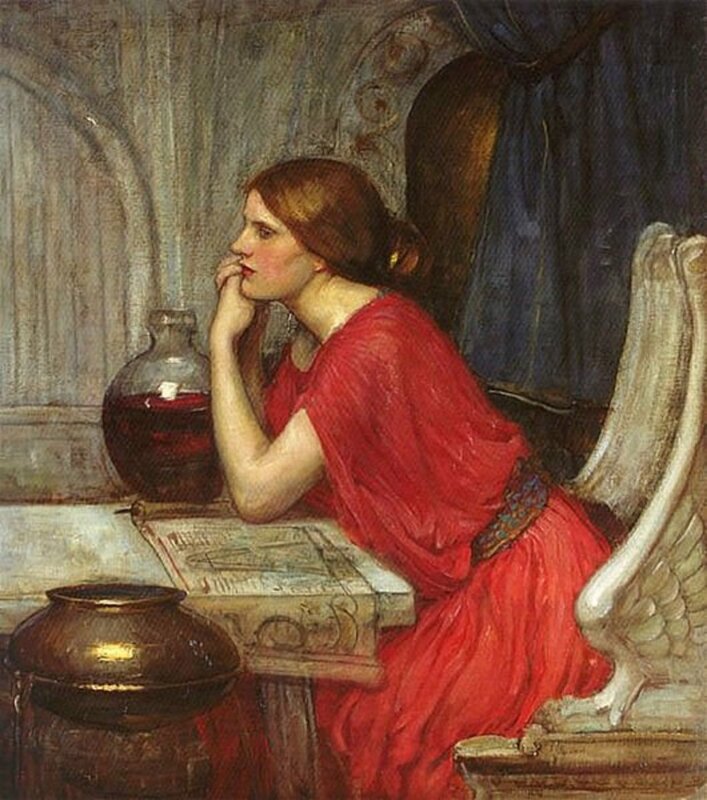 Medea would come up with a plan though, and it was she that convinced the fleet’s commander, Medea’s brother Apsyrtus, to come on board the Argo. Once on board, Apsyrtus was killed, either by Medea, or by Jason at the behest of Medea. The dead body was then cut up, with the part strewn overboard, King Aeetes was by then amongst the Colchian fleet, but he slowed the fleet down to collect the body pieces of his son. This delay ultimately allowed the Argo to escape. 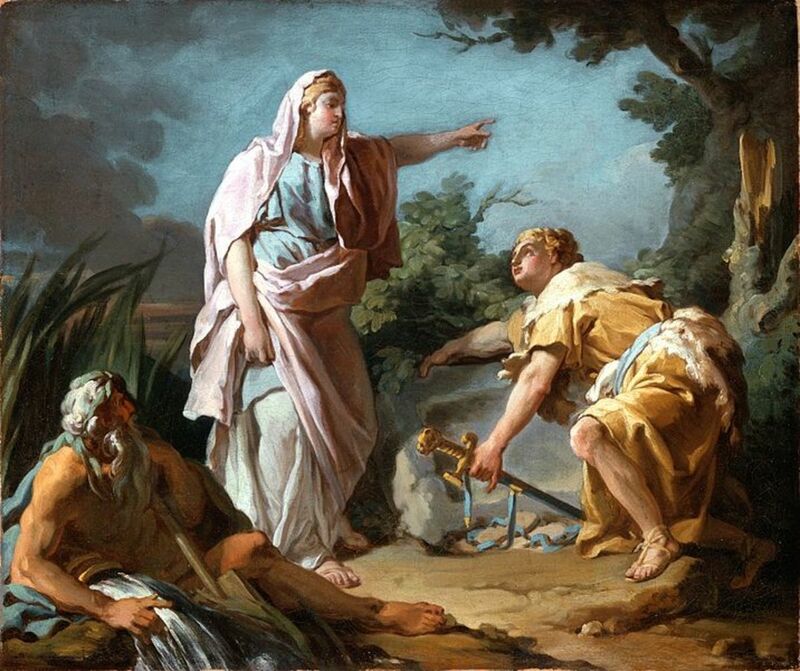 Medea and Jason would on the return journey to Iolcus, stop on the island of Circe, where Medea’s aunt, Circe, would absolve the pair of their crime. In some versions of the tale Medea also wed Jason on this return journey. The return journey also saw the Argo stop on Crete, and there Medea was influentially in disabling Talos, the invulnerable defender of Crete, allowing the heroes to safely continue home. The Argo would return to Iolcus, and the Golden Fleece would be displayed to King Pelias, just as the gods of Mount Olympus has planned. The gods were seeking to punish Pelias for the way he ascended to the throne, and by bring Medea to Iolcus, Jason had enabled the ultimate punishment, for Medea was to be known as the Curse of Pelias. Medea was said to have restored Aeson, the father of Jason, to a youthful condition, and the sorceress then managed to convince the daughters of Pelias, that she could do the same for their father. Medea showed how she could cut up an old sheep put it in a cauldron, and have a young lamb emerge from it. The daughters of King Pelias then did the same to their father, cutting him up, and then they put the pieces into a cauldron, of course a rejuvenated Pelias did not then emerge. Medea and Jason would not rule in Iolcus though, as Pelias was succeeded to the throne by his son Acatus; and one of the first actions of the new king was to exile Jason and Medea, and commanded never to return. Medea and Jason would depart from Iolcus and settle in Corinth, and it seems that the pair are destined to live out their lives happily. Jason is keeping his vow of loving Medea, and the pair become parents to either two or six children. In the sources were two children are talked of, then the children are the boys, Mermeros and Pheres; if six children are named, then there are three additional sons, Thessalus, Alcimenes and Tisandrus, and a daughter Eriopis. As with so many Greek mythological stories though, there was to be no happy ending for Medea and Jason. Eventually, Jason is said to have become tired of being wed to Medea, who was still regarded as a barbarian in Corinth. So, an engagement was arranged between Jason and Glauce, the daughter of King Creon of Corinth. Medea of course, was not the type to take the slight meekly, and so the sorceress plotted her revenge. 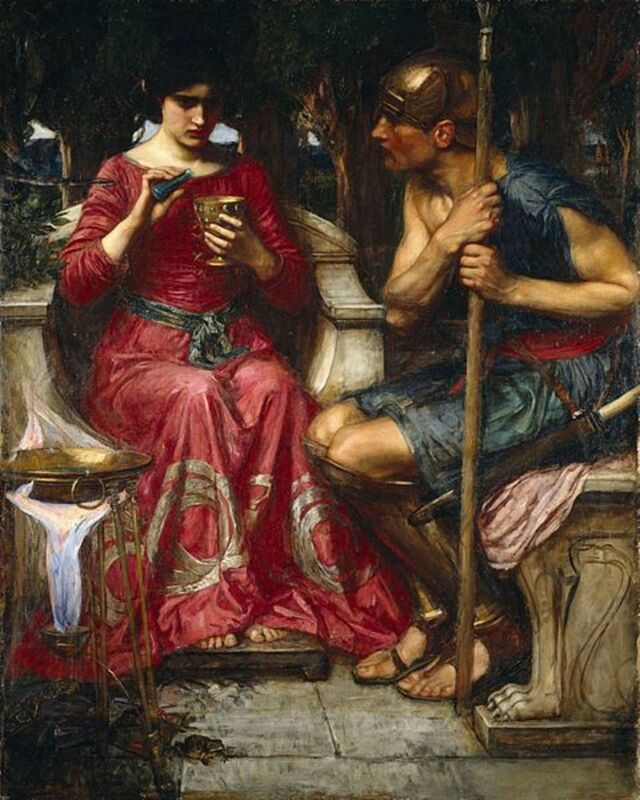 Medea sent Glauce a poisoned robe, a robe, that as soon as Glauce put it on, started to kill her; the robe would also kill King Creon, as he touched the poisoned material, as he tried to remove it from his dying daughter. 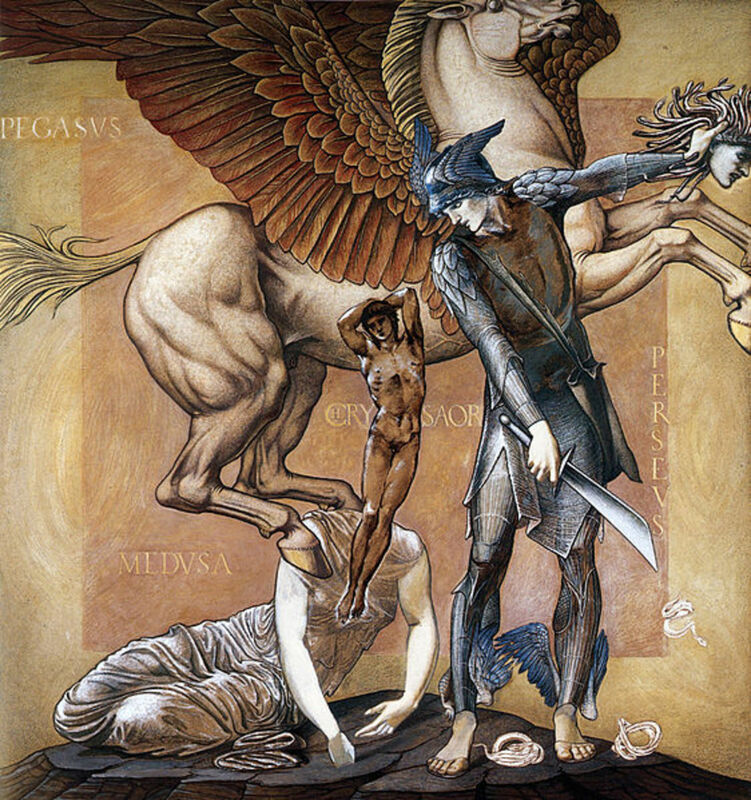 To cause Jason even more pain, Medea also killed their two sons, Mermeros and Pheros. If Jason and Medea had six children, it is not clear what happened to the other four children. Piror to the writings of Euripides, the killing of Jason’s children was undertaken, not by Medea, but by the Corinthians, who were angered at the killing of their king. 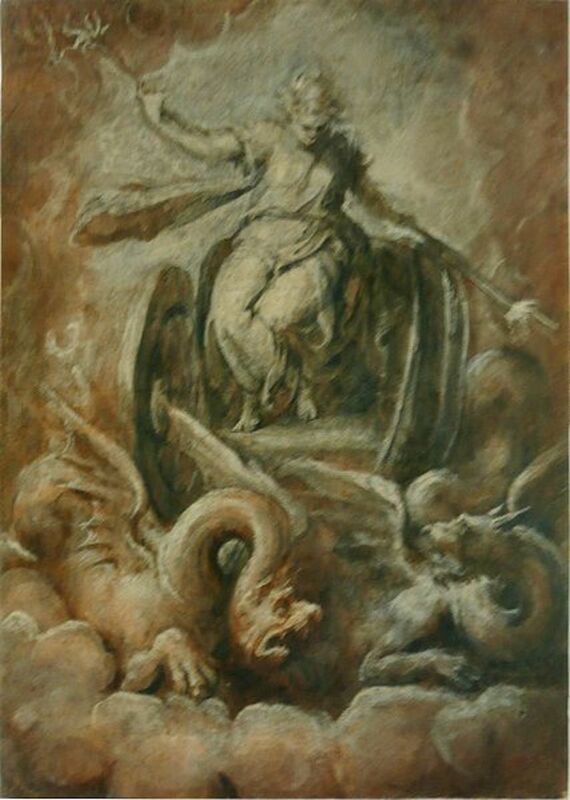 In either case, Medea fled from Corinth, fleeing on board a chariot pulled by two dragons. Now no longer welcomed in Iolcus or Corinth, Medea makes her way to Athens, where she finds refuge in the court of King Aegeus. The king is desperate for sons to continue the family line, and Medea is able to convince King Aegeus that she will be able to produce an heir. So, Medea and Aegeus are wed, and the marriage does indeed produce a son, Medus. Once again though, there is to be no happy end for Medea, as Theseus, the unrecognised, long-lost son of Aegeus arrives in Athens. Medea recognises Theseus for who he is, and attempts to ensure Medus’ ascension to the Athenian throne, by doing away with Aegeus’ first born son. Medea firstly has Theseus sent to capture the Marathonian Bull, and when he is not killed in the attempt, Medea then tries to poison the hero. 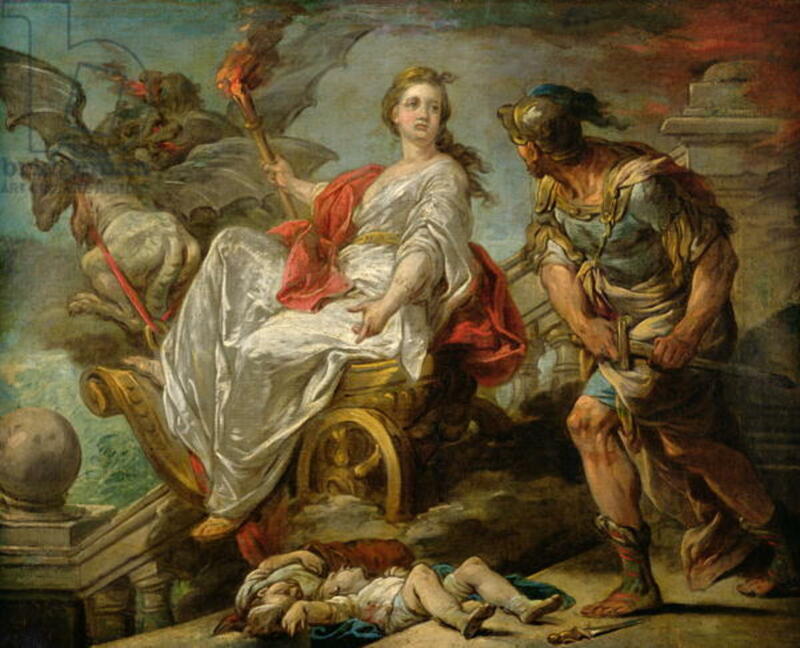 Eventually, Theseus is recognised by Aegeus, and so Medea is forced to flee once again, this time with Medus in tow. At this point, Medea returns to Colchis, but finds the region much changed. The loss of the Golden Fleece, saw Perses forcing Aeetes to give up the throne. To make Aeetes king once again, Medea causes the death of Perses, and place her father on the throne of Colchis. In time, Aeetes would die, and the throne of Colchis then passes to Medea’s son Medus, and the story of Medea comes to a close.